Sen. Ted Cruz (R., Texas) penned an op-ed on Thursday urging President Donald Trump to consider appointing his Republican colleague, Sen. Mike Lee (Utah), to the Supreme Court vacancy caused by the impending resignation of Justice Anthony Kennedy. Cruz, a former law clerk for Chief Justice William Rehnquist and assistant deputy attorney general in the George W. Bush administration, argued that Lee would be an ideologically solid appointment who was less likely to face a scathing confirmation process given the relationships he's established during his tenure in the United States Senate. In his op-ed, published on Fox News, Cruz implored the president to weigh the "defining moment" this Supreme Court vacancy would have on the legacy of his administration. "This will be a defining moment for President Trump’s legacy," Cruz wrote. "Every president is remembered for his nominations to the Supreme Court – and not always positively." Kennedy, who has served on the Supreme Court since 1988, has long been recognized as the institution's lone swing vote preventing either the conservative or liberal factions from becoming ascendant. By choosing to retire with Trump in office, Kennedy has opened the door for a conservative to be his successor, possibly altering the Court's balance for years. With the prospect of an emboldened conservative majority, the first since the New Deal era, on the nation's highest court, Cruz warned the president against repeating the mistakes his predecessors have made in nominating justices to the Court. "Past Republican presidents have repeatedly nominated justices who failed to live up to the principles they were selected to represent," Cruz wrote. "Indeed, many of the worst liberal judicial activists, including William Brennan, John Paul Stevens, and Harry Blackmun – the author of the Roe v. Wade decision that legalized abortion nationwide – were appointed by Republican presidents." "These mistakes haunt the legacies of presidents, a specter they can never shake. We cannot let this happen again," the senator added. Cruz partially attributed "these mistakes" to the fact that most individuals nominated to the Court have a limited public record from which to ascertain their judicial views and convictions. "Most presidents are forced to gamble on a nominee they do not truly know – someone who has spent a lifetime outside the public eye," he wrote. "Presidents must pore over the thinnest bodies of evidence on these people, trying to discern their convictions and ability from scattered cases and the recommendations of others. It’s a risk, when what a president really needs is a sure thing." The senator stated Lee was the only candidate being considered by the president who would be a "sure thing" and was likely to fire up "conservative voters" ahead of the midterm elections. 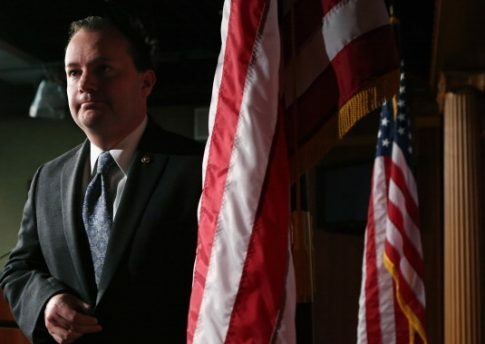 "No other candidate has his combination of record, ability, and a sure-fire path to confirmation – and no other candidate would excite conservative voters this November more than someone they know and trust, like Mike Lee," he wrote. Lee, a constitutional lawyer by trade, has expressed interest in serving on the Supreme Court, even going as far to admit that if asked, he "would not say no." The Utah Republican also has longstanding personal and professional ties to the nation's legal system. The son of a former U.S. solicitor general, Lee clerked for Supreme Court Justice Samuel Alito, served as a federal prosecutor, and was general counsel to then-Utah Gov. John Huntsman (R.) from 2005 to 2006. Since joining the Senate in 2011, Lee has served on the Senate Judiciary Committee where he's championed judicial restraint and the rule of law. Lee was originally on the list of candidates considered by Trump to replace the late Antonin Scalia but was passed over in favor of Neil Gorsuch. Cruz's pitch comes only days after Lee's office confirmed the senator was formally interviewed by the president about the Supreme Court opening. Lee's biggest selling point, according to Cruz, is the fact that he's a known commodity, not inclined to deviate from his views if confirmed, and has built relationships with members of the Democratic Party in an increasingly polarized Senate. "Sen. Lee has the respect and admiration of his colleagues, Republicans and Democrats alike," Cruz wrote. "And even with Republicans’ slim majority, senators on both sides of the aisle would have little trouble giving their advice and consent to a nominee they have served alongside for years." Cruz rested his case by asserting if Trump chose Lee, he would become the first president "in recent history to hit a home run" on all of his nominees. "After countless mistakes by Republicans, we finally have a chance to get this right," Cruz wrote. "President Trump can become the first Republican president in recent history to hit a home run on all his Supreme Court nominations, cementing his legacy for all time." This entry was posted in Politics and tagged Mike Lee, President Trump, Supreme Court, Ted Cruz, Trump Administration. Bookmark the permalink.